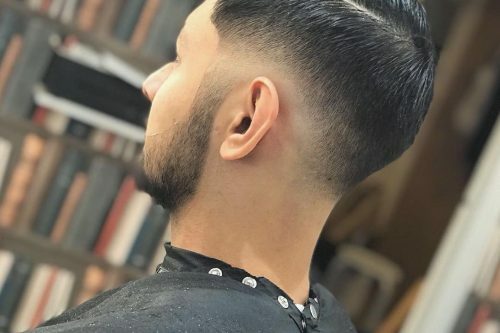 As its name implies, the classic drop fade haircut is specific type of hair fade that starts from the temples and drops as it ends behind the ears down to the nape. 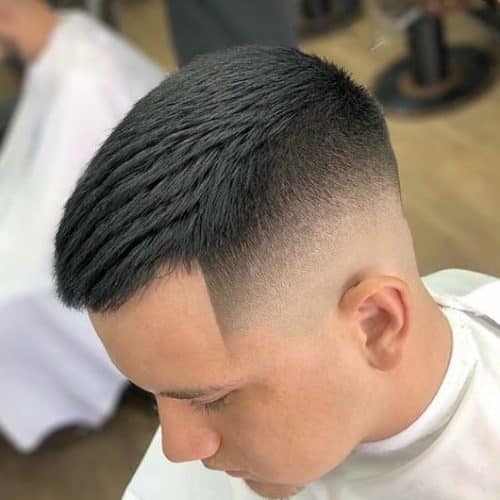 This type of fade gives a fresh character to a guy’s haircut without being too harsh. 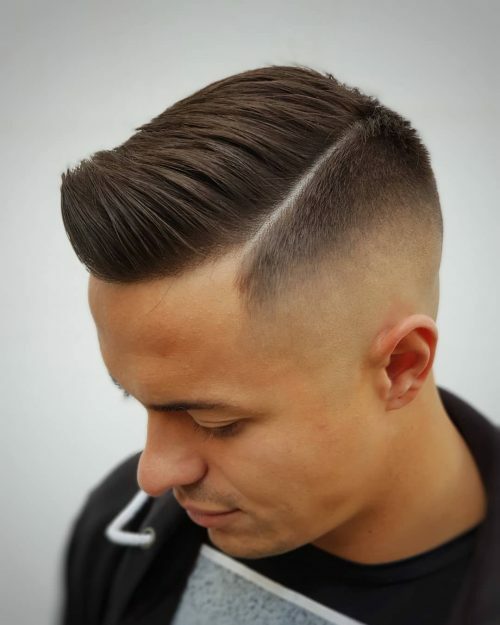 This fade specifically flatters men with round and square faces with the neat and even curve it creates, leaving you with a dapper finish! Style your hair however you want – brush it back for a sleek look, mess it up for great texture, or pair with an undercut if you’re feeling snazzy! 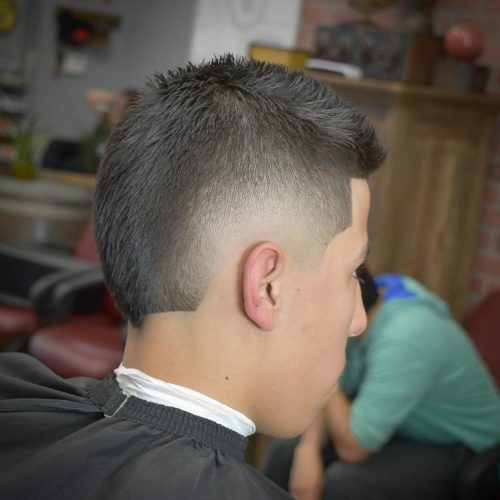 The drop fade never fails to look sharp because of the natural dimension it adds to any type of haircut. 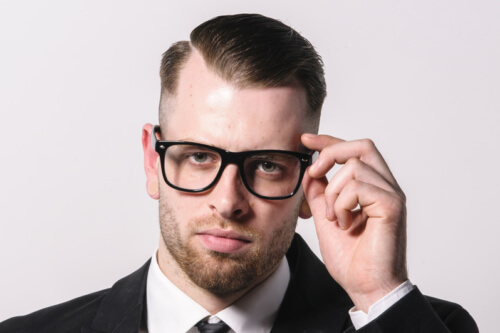 Now’s the time to switch from the regular fade you always get from your barber into this first-rate fade style. 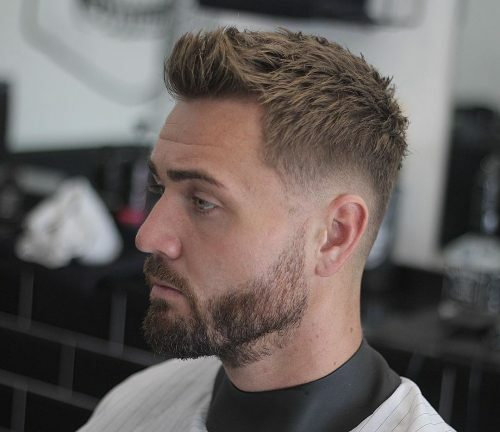 Peek into our collection of modern drop fade looks for men that you can bring to your next haircut session to stay fresh this year! Tame your hair even much better with highly faded sides down behind the ears. This contemporary look is guaranteed to transform you into a superb hunk. 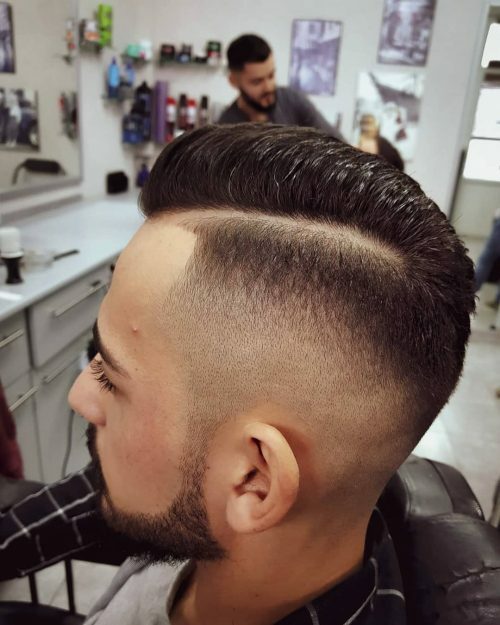 Parted haircuts are a popular choice for the modern gentlemen. It gives you a statement of refinement and sexiness at the same time. 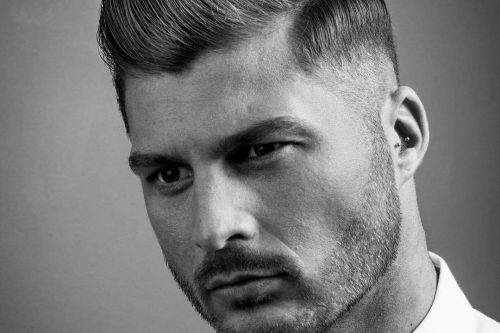 Aka the eraser head look, this one’s admirably complemented by neatly shaved sides for a dapper finish. 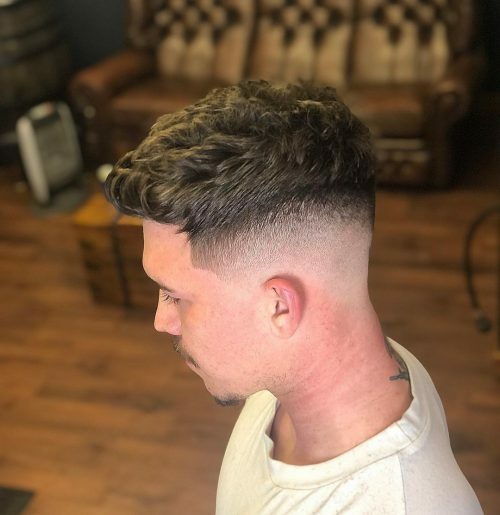 What men and barbers admire about this drop fade style is how it excellently highlights the top of your head especially when you own a lengthy and textured mane. 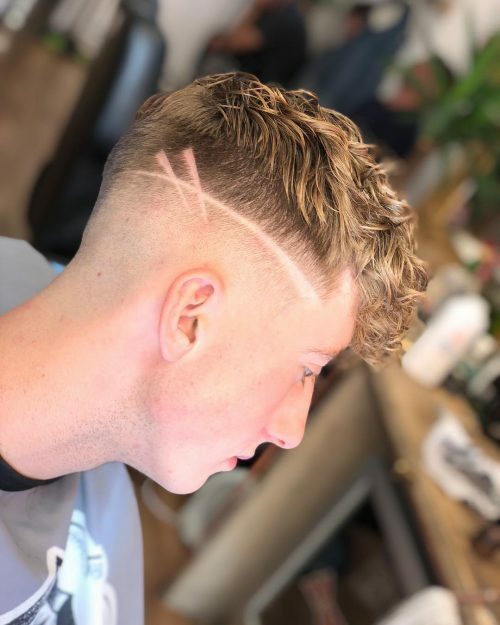 Put a twist on a classic drop fade cut for a really clean look! 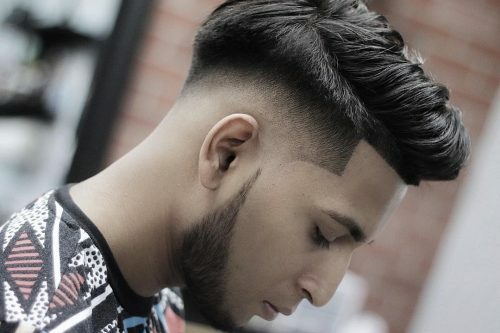 The cut fades evenly from the temples down to the nape and highlights the top hair and beard perfectly. 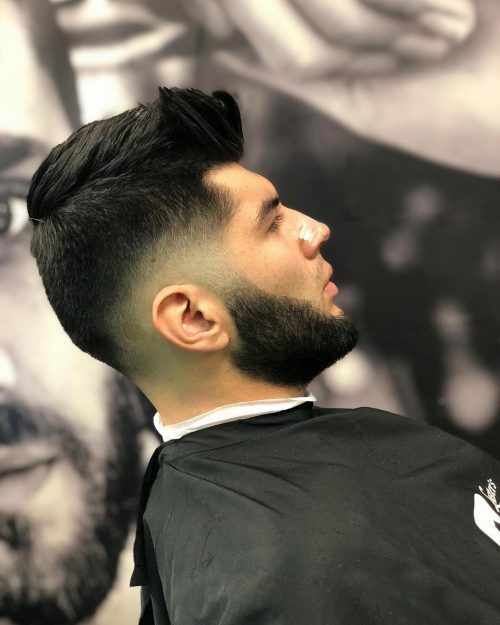 Disconnect your thick mane from your hipster beard with a sharp drop skin fade like how Barber Leonel did for this look. Take this stylish hairstyle to a much higher level! The contrast works classy from the front to the back, and helps make this drop fade more desirable. 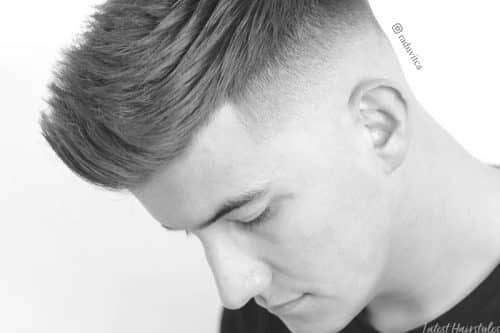 For edgier drop fade haircuts, you can opt for a cool shaved pattern to go with your clean sides. It goes impressive especially with textured hair. Take some unnecessary weight off of your voluminous hair by getting your sides faded. 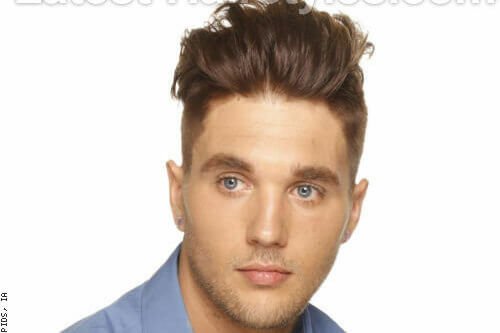 This hairstyle easily complements those who have long textured hair on top. 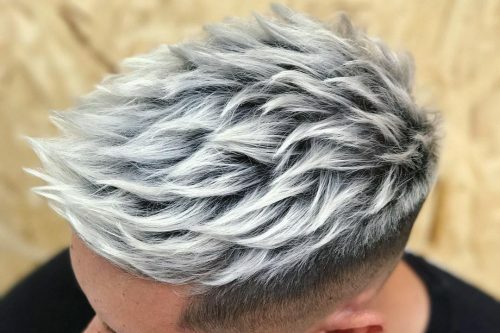 Be amazed by this epic spiky hair made cooler by those neat skin shaved sides. Pair with a beard to complete that bad boy look! Let the texture do the talking! 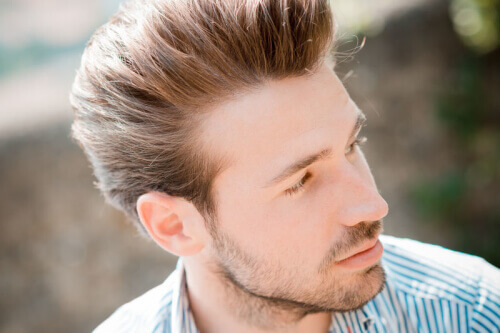 This style perfectly brings out the ruggedness in your hair with the contrast it provides. 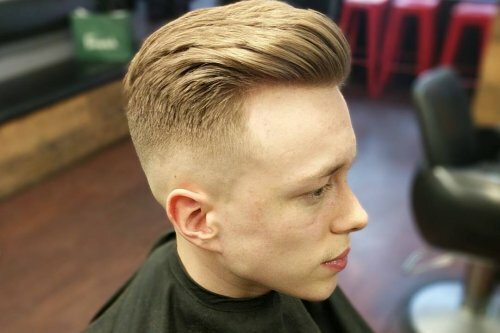 Patterned drop fade haircuts look best when accentuated with clean sides and back. This one’s literally a no to low maintenance choice. Boost your cool guy style with this clean and polished disconnected style. Brush the hair upwards and hold with your favorite product, and you’re good to go! If you wanna look groomed and stylish at the same time, this neat style is the best way to go! This side parting is one of the many variations you can create when you have long hair on top. Low faded sides are the best way to blend your dreadlocks! Choose this style if you don’t prefer too much skin to be exposed. This is a gentleman faded down to the skin with a hard part and a beard clean up. Ideal if you wanna appear sharp and hipster. 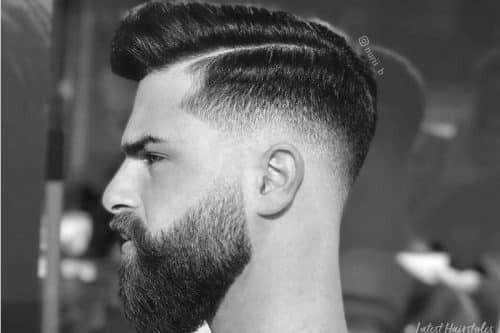 I would describe this haircut as a gentleman’s cut with a medium drop fade down to the skin, a hard-part, a lineup, and a beard fade. I love this very clean-cut look that is perfect for any lifestyle. You can rock this style at work in the office or downtown at the club. 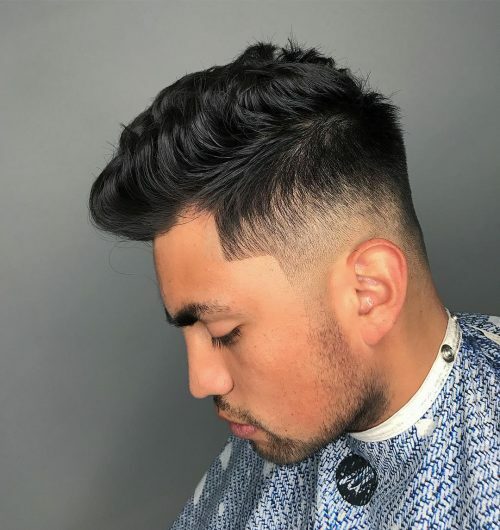 Depending on the client’s hair type and texture I would definitely recommend a pomade or gel that can hold their hair in place for whatever type of lifestyle they live. 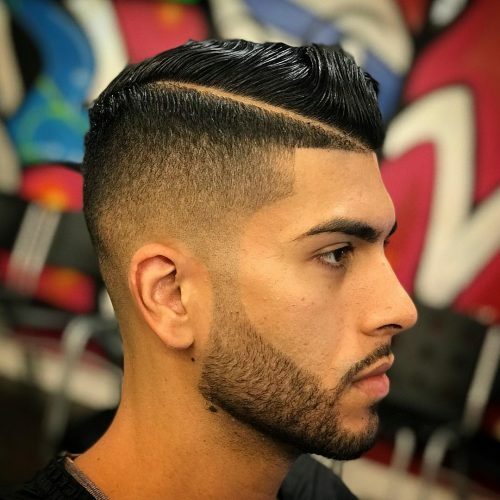 This drop fade haircut can be pulled off by most guys with a full head of hair, but I would never recommend a hard-part to anyone with thin or balding hair. After giving this cut to a client for their first time I always take a minute to show the client the best way to comb their hair. Believe it or not, a lot of guys are really bad at combing their own hair so sometimes just a little guidance goes a long way. 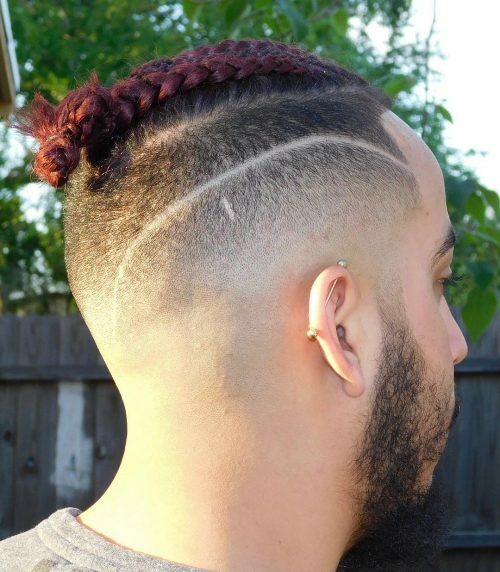 It’s a unique, trendy, versatile haircut. You could dress it down or dress it up. I could see someone wearing a trendy suit and go to a wedding, as well as just looking clean going to a grocery store. What I like the most is the clean and simple part down the side. It makes the look overall look fresh. Anyone considering this look should get their braids redone and haircut at least every 2 weeks. 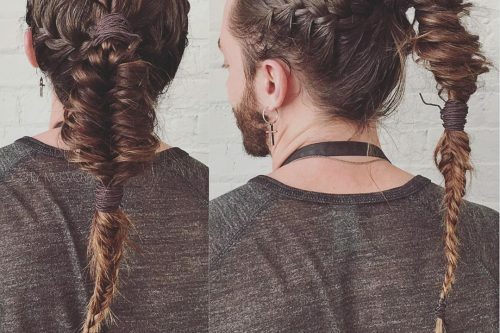 They could also undo the braids and just put it into a man bun or comb to the side with some pomade. 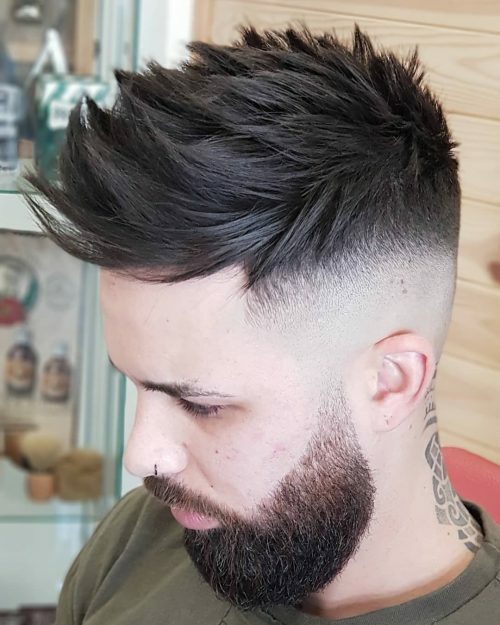 This drop fade cut would look good in almost any face shape. This is an artsy, urban look, and I don’t think it will match in a corporate or professional setting. Although it’s just hair – it will grow and people shouldn’t limit themselves to what other people think. 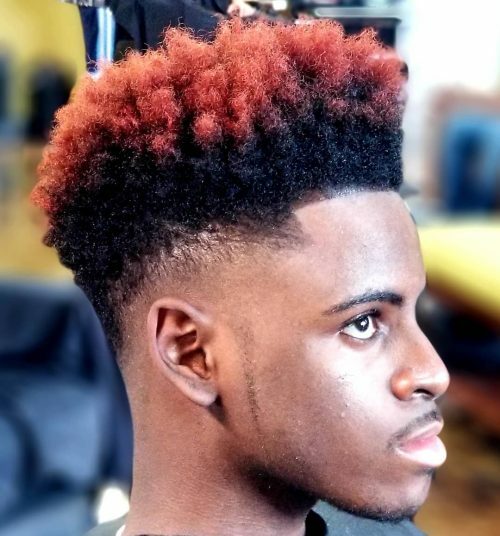 The burst fade is a style that offers more clean and classy look than the traditional spiky mohawk or traditional Afro. 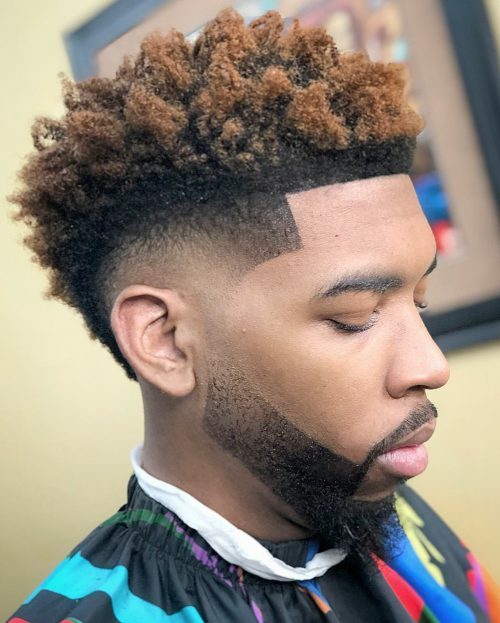 The style was made popular by singer, Usher Raymond, and later the pro-athlete Odell Beckham Jr. For those who are not familiar with the term versus fade, it refers to a natural top and faded sites. The burst refers to a phase that is circular and arching to or behind the ear. Although the style may be warm by anyone, it is better suited for an extroverted personality type. This haircut also gives an athlete/active individual more flexibility in between haircuts, lasting 2 to 4 more weeks before I retouch. 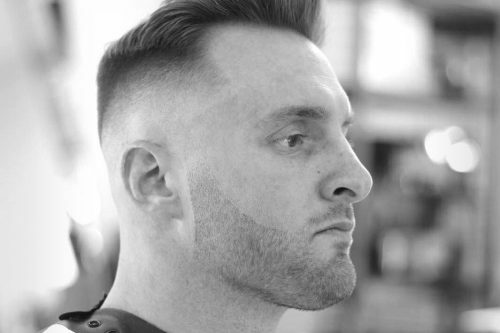 This drop fade style may be worn by several face shape/types. 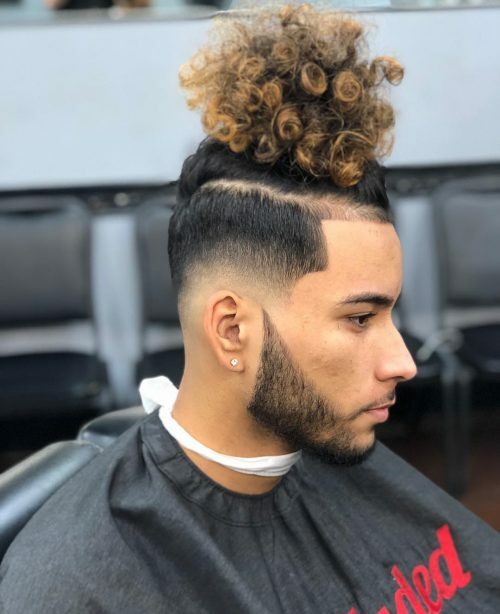 One can accompany this style with a tool called a curl sponge or a twist sponge which makes the hair twist into a curl pattern which is twisted at the ends. Some products that may be used are natural products such as “I am Curl” cream, Cantu curl cream, and other natural products that nurture their hair and give control. Estelle may also be worn dry however there must be properly and shampoo and conditioner to maintain a healthy pH balance. This look is a stylish medium for teenage kids. 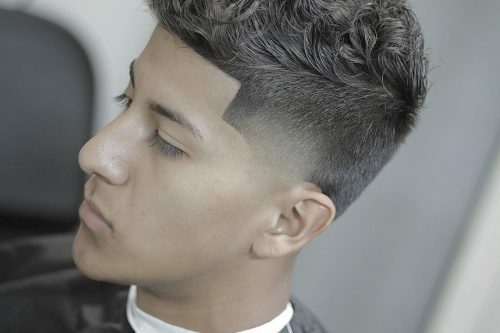 Fade haircuts have been gaining popularity. 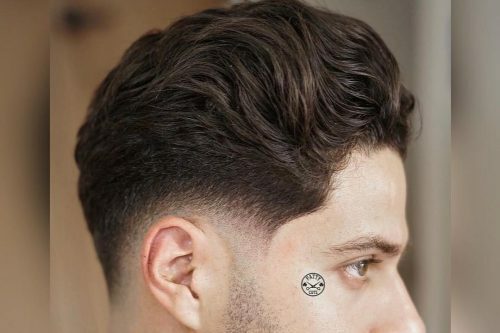 You’re keeping the length that all kids want to see and still pleasing the parent with a short clean cut on the sides. 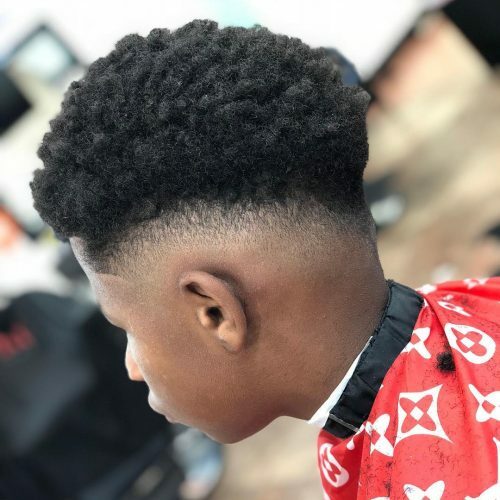 That would also have to be my favorite thing about this style for a young man – both sides are pleased, the parent and kid. At times it becomes an issue, the parent just wants a short low maintenance haircut but the kids want the latest trends to fit in. If your lifestyle is more on the get-up-and-go basis and don’t have or want to make time to sit in front of a mirror every morning to style, this would be the ideal style for you. It’s very low maintenance while giving you a clean look. 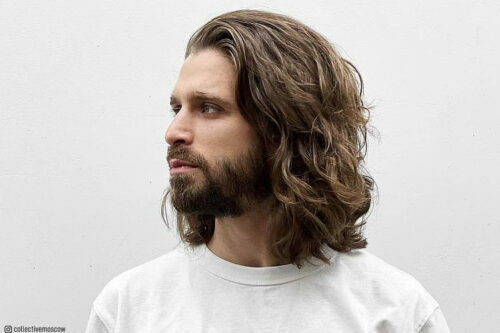 Anyone with hair from wavy to extremely curly can achieve this style. Use shampoo and conditioner, and when styling, a light application of oil sheen to moisturize the hair and scalp. To complete this style, use any type or style of curl or twist sponge to execute the curly top look. The more you sponge the tighter the curl. 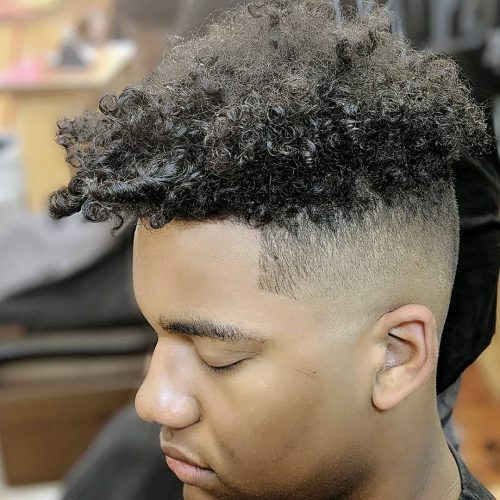 This look is a unique curly messy style that gives volume in the hair with drop fade giving that clean look. The best part about this is its low maintenance. You don’t have to do much when you make up in the morning. 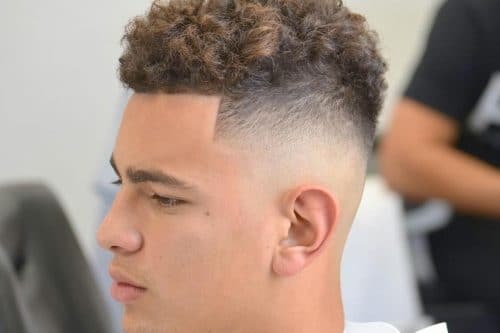 I recommend this drop fade haircut to anyone with naturally curly hair that is suitable for all ages. These curls will suit most face types and shapes. The product I use is Elegance Triple Action Gel. The haircut is a shadow fade. This fade is for clients that don’t like their haircuts down to the skin. I gave the haircut an urban look by tapering the neckline and texturizing and styling the top. The best thing about this haircut is that it’s simple, low maintenance, and it’s fit for every season. 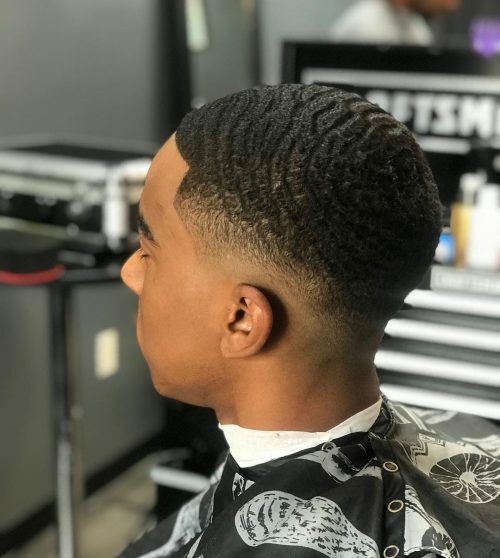 If you are looking to have a good night out or even looking to have a clean simple cut to go to work with, it would definitely spark up a good vibe. 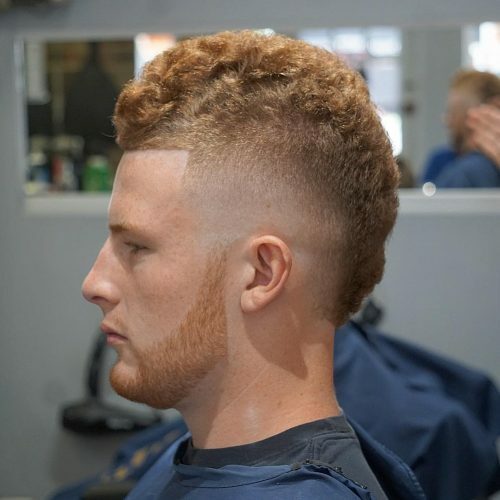 This look is a low to mid drop fade while keeping weight on the sides to allow for styling. 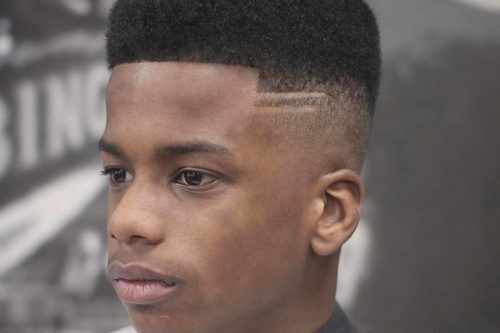 The coolest part about this cut is the clean fade with the messy top style. 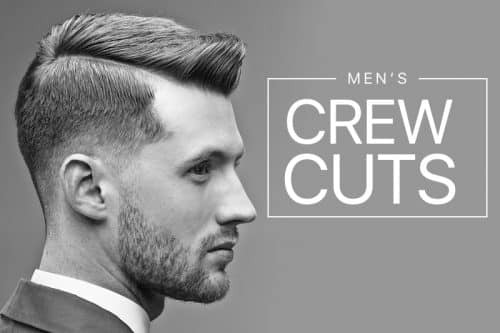 When considering this cut it’s all about styling if you’re willing to put time into your morning routine into styling your hair. 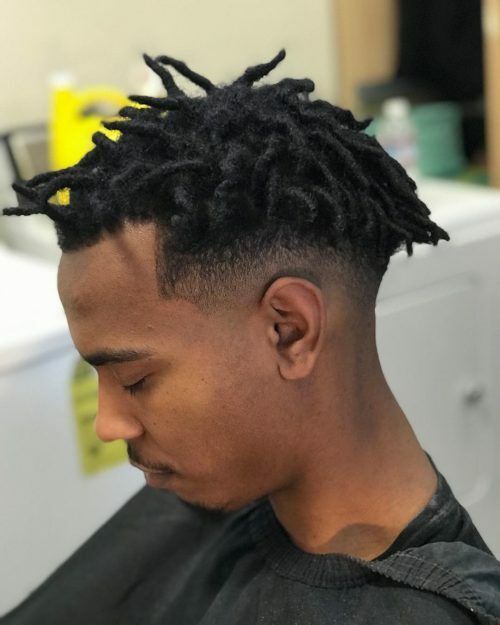 This type of cut does not look good when it’s not styled. I recommend any matte clay or pomade. I use Tomb 45 matte clay. This cut works best with straight to wavy hair texture. Perfect with anyone who likes to keep in style. 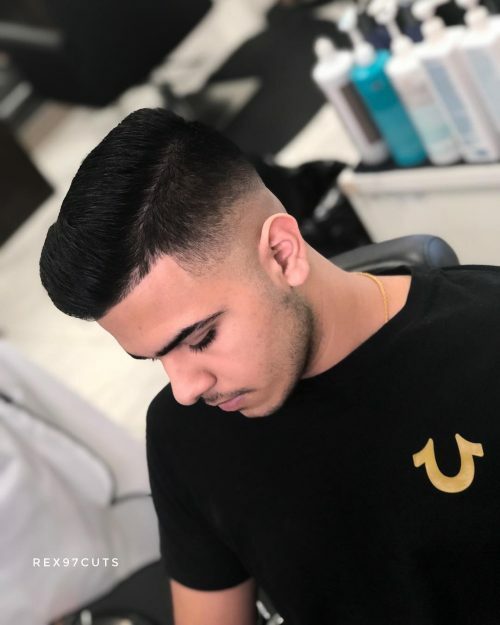 The high drop fade is a variation on the classic fade that will spice up any haircut and truly take it to the next level. 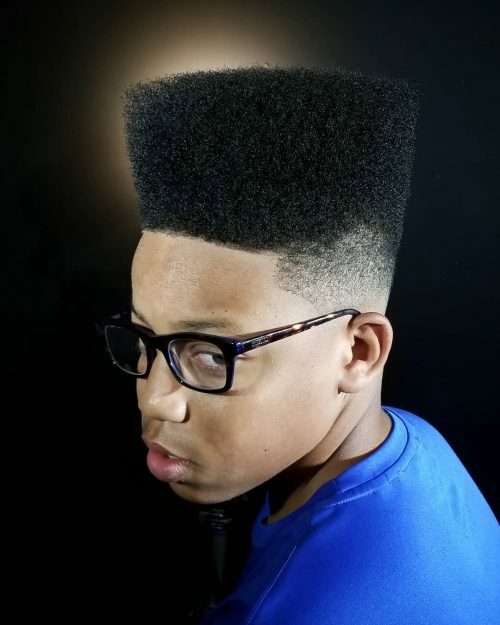 The kind of fade is so named because the fade drops down through the hairline to create a nice strong outline on the hairline makes it look really sharp. 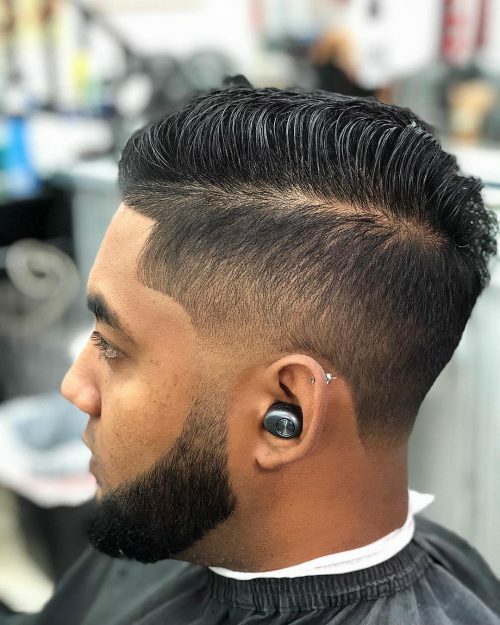 This is because the fade adds a layer of definition to any haircut that makes it instantly stand out and gain another dimension. The coolest thing about this style is that there is so much you can do with the style, such as there is more than meets the eye. Also, the blend always meets the fade amazingly. Considering their look, lifestyle, etc., this style can be given to a lot of clients, as it is an easy maintenance with minimal product. I finish this haircut with some styling powder to create lift and texture, then just a small amount of hairspray to hold in place and tweak a few bits. If anyone is considering this look I always advise them to go for it, purely for its simplicity. I love this look a lot because it clearly stands out to people. It also shows that you’re not afraid to get something other than a traditional haircut. What I love about this cut is it can show a person’s character. They could either go for the messy look or nowadays mohawks can even be somewhat professional looking. There are no boundaries with this cut. Whether you’re an athlete or you play in a rock band, this haircut can suit different personalities. 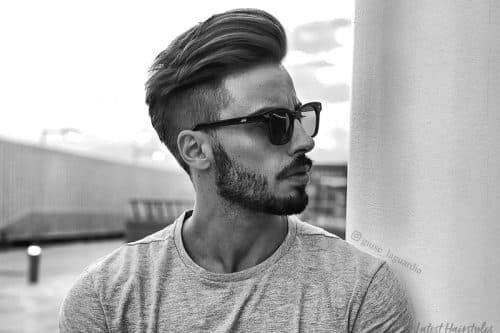 For people trying to achieve this look, there are many things to consider, head shape, thickness, and type of product. I would recommend a product with a strong hold depending on the thickness. But anyone can rock a mohawk with an open mind and creativity.